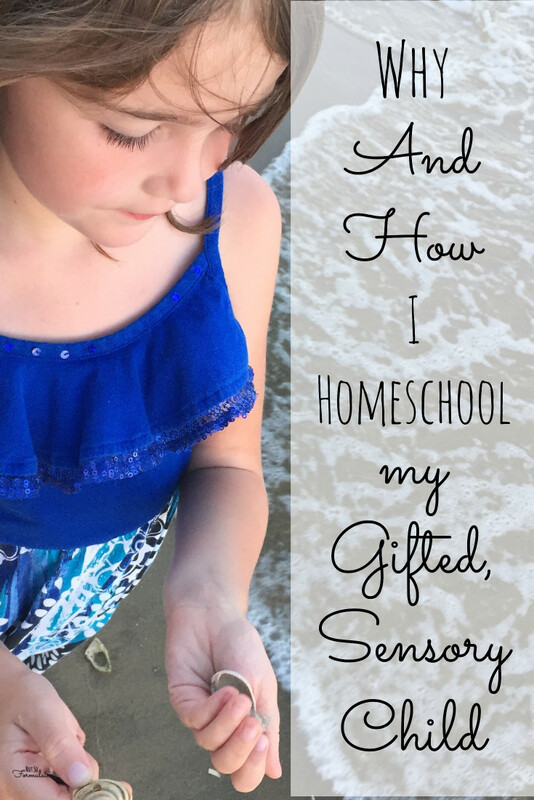 Despite years as a high school English teacher, I homeschool my gifted, sensory processing disorder child. And you know what? You can, too. Here’s why – and how. As usual, my mom picked up on it first. G was four. She was in preschool and doing well – for the most part. But there were hints, like meltdowns of epic proportions. Sleep issues from the day she was born. Food aversions resulting in five safe foods. Transition troubles that wreaked havoc in the classroom. No evidence of developmental delay. Child’s difficulties are most likely behavioral. Translation: nothing’s wrong with that kid. It’s the parenting that’s the problem. Motherhood’s a two-for-one deal. You get this gorgeous baby, plus 30% more maternal guilt (FREE!). Raising a child with sensory issues or special needs doubles that special offer. Generally, it starts with an assumption: your child’s very public meltdowns are a direct result of your parenting. Sure, kids have tantrums. But a knock-down, drag-out, DEFCON 5 meltdown at a restaurant? You know, the one where she knocked the dishes off the table, growled like a hell-hound, and flailed around on the floor for ten minutes until we could drag her kicking and screaming to the car, only for her to buck and wail for another fifteen while we tried to buckle the carseat? No kid with a decent set of parents would behave like that, right? We must spoil her. Let her run wild. Give in to her every whim. At home, G’s behavior was normal. It was a controlled environment with routines and boundaries naturally set in place. We knew our daughter, and were able to head off most issues intuitively. It was outside the home – at parties, in the classroom, on the playground – where we had the most trouble. When G moved on to kindergarten, the judgment didn’t intensify. It mutated. When G was nine months, we noticed she had a phenomenal memory and an insatiable appetite for books. By the time she was a year old, we spent hours – literally – reading. G absorbed it all, and was devouring books like The Hobbit and Frank L Baum’s The Wizard of Oz the summer before kindergarten. Her math skills and pattern recognition were stellar; her processing speed and comprehension off the charts. But there she was, in a kindergarten classroom with 24 other five year olds, learning basic math and reading. She was intellectually advanced, socially delayed (a common trait among gifted children), and sensationally overwhelmed. G’s behavior was unlike anything they had seen. From her first meltdown the first week of school, they labeled her autistic. Our daughter looked like a duck. She walked like a duck. So of course, she had to be a duck. Right? 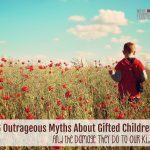 G is a twice exceptional. 2E children are frequently misdiagnosed, and so it went with G. We spent December to April in a slack-jawed, gun-shy haze of evaluation and assessment. The school staff was so convinced of G’s Autism, the developmental pediatrician we saw for a second opinion ruled their findings invalid. G had Sensory Processing Disorder. Nary an advanced curricula nor sensory diet in sight. It wasn’t just the IEP that gave us pause. She’d still be in a huge classroom with tons of kids. She’d still be getting up early, filtering ridiculous amount of sensory stimuli, and getting home late in the afternoon. We’d still be dealing with all kinds of fall out in the classroom. I didn’t want another year of that. Not for her, not for us, and not for the school staff who, despite their best intentions, hadn’t a clue as to who my daughter really was. So we brought her home. And it’s been the best decision we’ve ever made. If G’s having a bad day, we can skip it. We can go outside, play a learning game, or cuddle up on the couch and read a book. She doesn’t have to be on if her body-brain balance won’t let her. The result? She’s happy, we’re happy, and we’ve all learned how to prevent SPD struggles from impacting her academic success. G can learn what she wants, when she wants. We do follow a curriculum (see below), but I tailor it to her interests, skills, and needs. She doesn’t have to wait for anyone else to catch up, nor does she have to rush through a challenging topic. She can go at her own pace, and we both love it. I’m a high school teacher by trade. 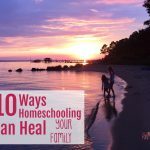 One of my biggest fears about homeschooling was the possibility my children would be unable to handle a classroom environment later on down the line. 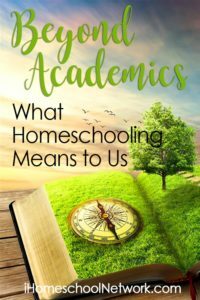 While I realize now this fear was unfounded, it did give rise to something good: I found a hybrid homeschool curriculum. We started with a half day of classes once a week, and now she and her sister are in “school” from 9 to 3:15 on Thursdays. It hasn’t been perfect: we’ve had to work with the staff to accommodate her needs. But the girls get a classroom experience and time with friends while I hang with the toddler and work on things at home. 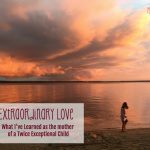 Mama, if you’re considering homeschooling a twice exceptional or special needs child, take heart. It can be done. In fact, it can be the best decision you’ll ever make. You know her heart, her soul, her interests and her desires. Moms always pick up on it first. Listen to your gut, and go for it. This post is part of iHN’s Beyond Academics link up. This is an incredible testimony that so many parents may need! Being diagnosed on the autistic spectrum when a child has sensory processing issues I’m sure is done more than often. My son has been considered a “special need” child medically and developmentally. Our “gut” as our child’s parent can never be ignored! I am going to pin this article. Thank you for sharing Ginny! Thanks, Amy. Going with your gut is so hard – especially when everyone else says you’re wrong! 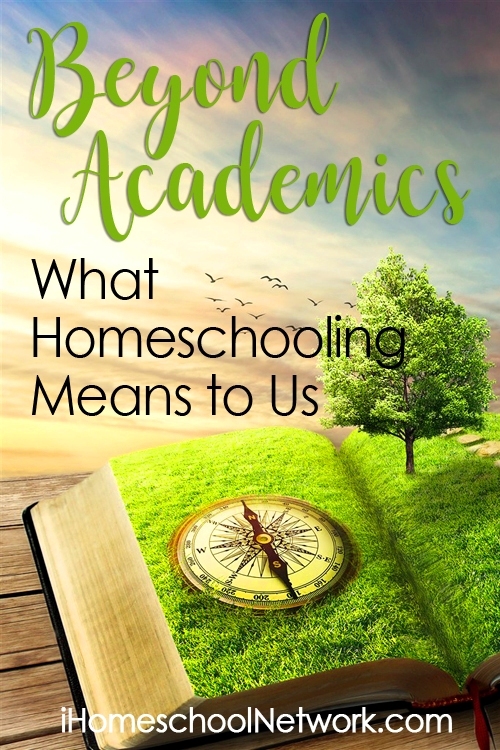 Homeschooling is an awesome lifestyle choice. It’s so nice to be able to do things on our own terms at our own pace. My daughter has similar behaviour issues. She’s six and she just did the first reading at our wedding two weeks ago. Thank you for sharing your story, it’s so encouraging. I’m so glad to hear it! My six year old struggles with reading (that’s another post on its own, I think). So glad you’ve found homeschooling to be a great fit! Wow, I can’t imagine the struggle and frustration as the teachers, doctors and therapists insisted on their misdiagnosis! I think it’s a testament to your GREAT parenting skills that you persevered and stood by your convictions and knowledge of your daughter. Thanks – I often felt like a big idiot, though. Sometimes I still do! Courageous, wise, creative, and vastly loving mothering. Grateful for and appreciative for your sharing your experience. Thank you, Jaime. I’ve always admired you and Tina for the example you set! That was an incredible read!!! Thanks, Sara! It was an incredible experience…. I cannot thank you enough for this beautiful testimony. I already know one friend with whom this will be shared … tonight! I am so glad you figured out a way to address G’s needs, in a manner which embraced her individuality, and as you said, didn’t force a square peg into a round hole. Don’t get hung up on the “you tried,” part – focus on the “you are winning now” part of this story! Way to go! We are just starting this journey. My son is beginning evaluations to see if we can get him OT and developmental therapy. He is 4, and grade level first. When in one a week childcare, he hit (the other kids were pretending to be monsters), he bit (he was being a cat), he screamed that he didn’t want to go. He is still only half potty trained. I’m an early childhood teacher by trade, with years developmental therapy experience, so I didn’t have to go through the trial by fire you did. 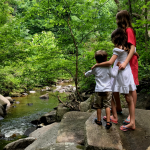 We are homeschooling, and other than figuring out what to do with the two toddlers (when I absolutely can’t involve them) we love it for all the reasons you do. Thank you so much for sharing! This post was great, I can not imagine going through that but I know from working in public service that people are quick to judge. Myself included, getting older, wiser and trying my best to see the whole picture has helped. Reading things like this remind us that we never really know what is going on, so stop judging! Great post! 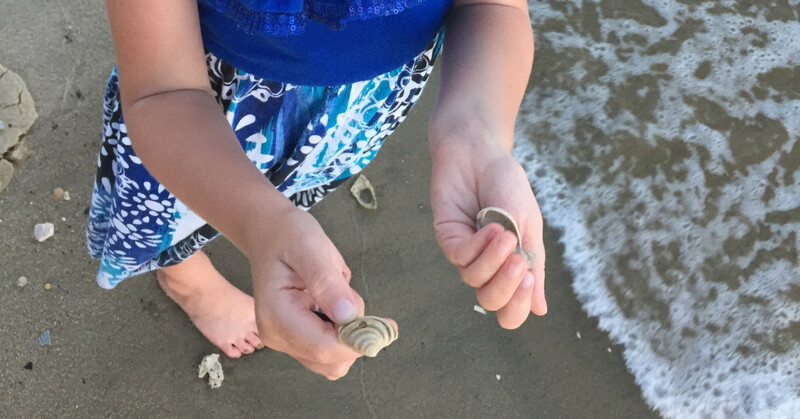 Thanks for sharing at #familyfriday link up. Please come back next week. I’ve just found your blog, and am enjoying reading about your homeschool experience. We have a gifted, quite possibly 2e kid who has been in school for 6 months, and we’re thinking about switching to homeschooling. Thank you for talking about both the good and bad! I pulled my son out of kindergarden two days ago. It has been the worst months in my son’s life since school started. And yesterday I was doubting if I am doing the best thing. Asking God for reassurance because I don’t know what am I doing and I don’t know if it is the right decision. Your article has made my day, week, life… thank you. I only know my son has been happier and learned more in the last 2 days than in the last 5 months. God bless. God bless you, Lila! I’m so glad I was able to give you a boost. 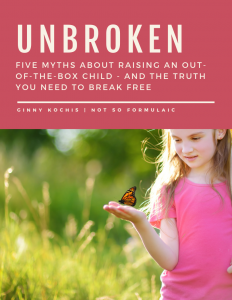 My youngest child (10) was recently identified with SPD, and your post–which I Googled, “homeschool curriculum for SPD child”–was a great comfort, because I feel like I’m now scrambling to learn what is best for him. I have pulled him in and out of brick & mortar since first grade–and finally, this year I decided to have him evaluated. Our son is the youngest of seven, and I used MODG for many years with his older siblings, but now I work full time (from home) so I pulled a little from here and there to put together our own curriculum, so now I’m wondering how AL is unique for the sensory processing disorder child? His executive functioning skills are very poor, he also has SLD w/impairment in written expression. 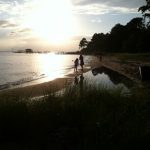 I read everything on the AL website and I’m trying to piece together how it can serve my son and as well as my work schedule (which is pretty flexible). I think the success with AL depends entirely on the mentors and directors. We actually pulled our children out because the leadership changed. If you’d like more information, please feel free to email me. My best advice for now, though, is to visit and really get a feel for the center, just like you would any other time your child will be working with an outside adult.